​Very rarely in human history have a place and a people grown up together into a new culture. That is the American experience. Like the land and the people, so too the voice of this new civilization is distinctive, often raw, and always real. Remember, the men and women who founded the United States of America risked their lives to do so. What was it that made this thing called “independence” so valuable? From the earliest colonial voices, to the transcendental poets and essayists, to "THE" American literary form - the short story - and beyond, the literature of this newborn nation reflects the bold, independent push for liberty that birthed it. Like the country from which it springs, American Literature tends to push envelopes, challenge traditions, and raise more questions than it answers. We will interact with the literature, wrestle with it, be inspired by it, and hopefully grow in our ability to analyze and appreciate the themes and ideas these pioneering authors present. Red Couch Reading's American Literature course contains eight units which together will give students a birdseye view of American culture and society! 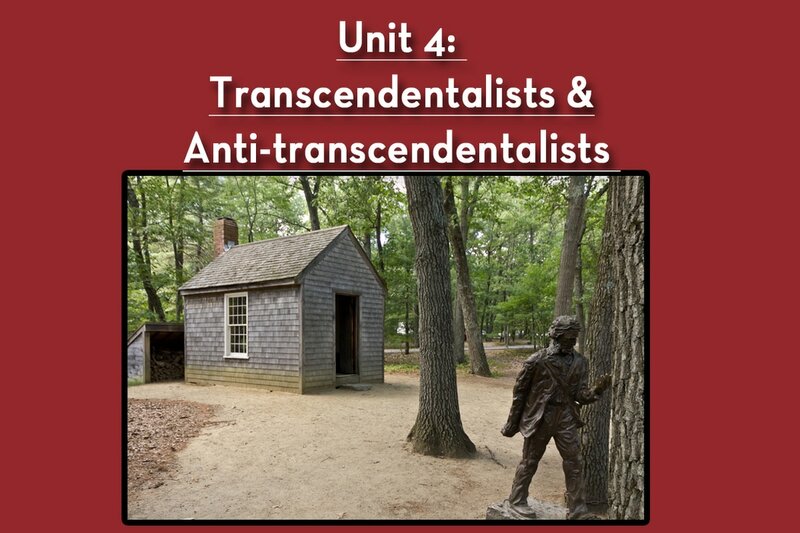 Unit 1 examines the foundations of American society as we read literature written during and about the colonial era. 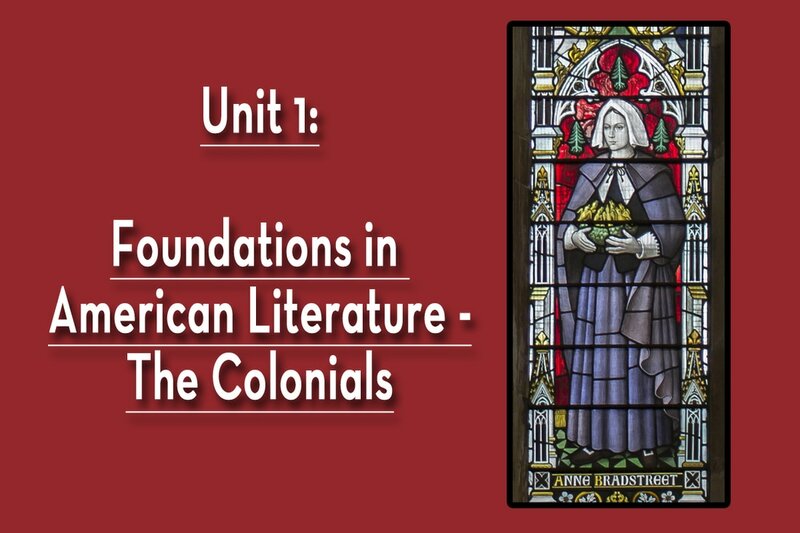 Each unit thereafter analyzes the changing frontier of American Literary works through examination of structure, context, authorship, and style. Below you will find a detailed description of the eight units. Each unit includes weekly video lecture, discussion starters, weekly reading comp quizzes, vocabulary units with weekly games or activities plus a unit vocab quiz, writing prompts to encourage readers to respond to the literature, and group activities to help your class or book club get the most out of these foundational classics! The one year course subscription is $200 per student. If you plan to lead a class or club and have six or more students signing up, email me for a special discount for yourself. :) The downloadable teacher/parent guide contains quiz keys, guidelines for discussion questions, and a solutions manual for all student classwork. The 30 total video lessons will allow several weeks to watch full-length productions, to work on or share written responses, or to take the semester finals (a semester final is supplied at the end of Unit 4 and Unit 8). We suggest a total of 32 ninety-minute class meetings, but the class can easily be altered to suit schedules ranging from 30 to 36 meetings. The teacher's packet for the course will include suggestions on how to structure your meetings to fit your schedule. 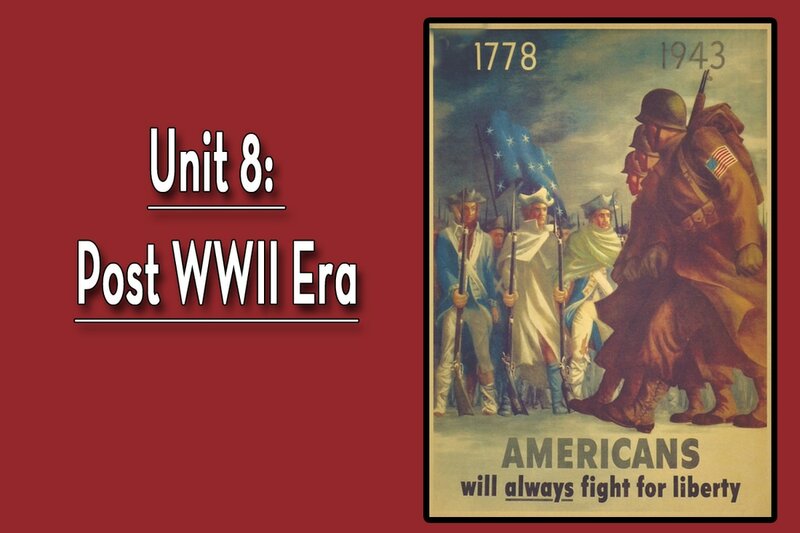 ​Unit 2, Recalling that what we call “The Declaration of Independence” was known simply as “treason” in England, who were these people willing to risk their lives for it? This was perhaps the most prolific group of writers in any nation’s history, so we examine just a sampling of the thoughtful, moving, poignant, funny writings left behind by some of those we call our nation’s “Founding Fathers.” Thomas Jefferson, John & Abigail Adams, Patrick Henry, Ben Franklin, Phyllis Wheatley, Washington Irving, and Alexander de Tocqueville will give us a glimpse behind the scenes of early America during this unit. 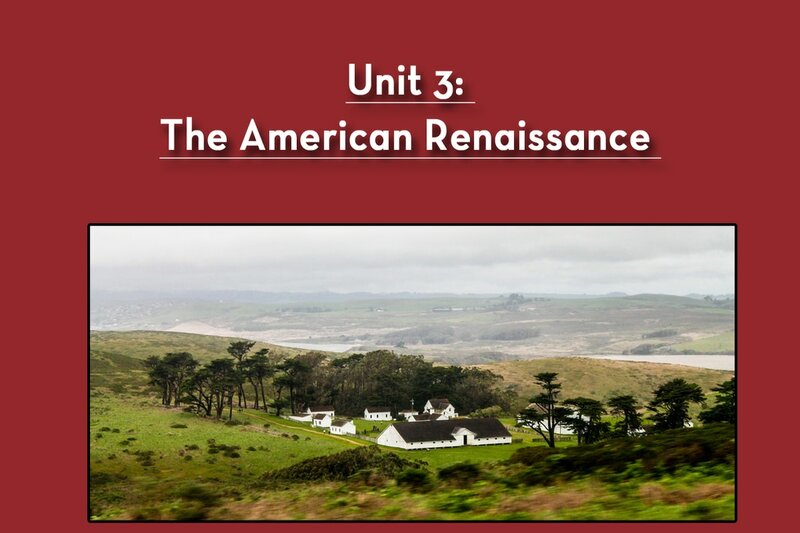 ​During Unit 3, we will explore the making of truly American literature. As the country is settled and begins to press across the continent, authors turned their backs on European topics and began creating thoroughly American Literature. Hawthorne’s Scarlett Letter will serve as the first course in this unit, followed by short stories by Hawthorne, Poe, James, and the poetry of the Fireside Five (Bryant, Holmes, Longfellow, Whittier & Lowell) plus Poe, Whitman, and Dickinson. We will use the opportunity these poets present to hone poetic analysis skill, and introduce the art & science of meter as well. After the Civil War, the 19th century saw America authors reject romanticism to focus on the reality of life for the middlle class. The rapid changes of the late 19th century provided fertile ground for authors such as Mark Twain, Henry James, Kate Chopin, and O. Henry to write uniquely American tales. 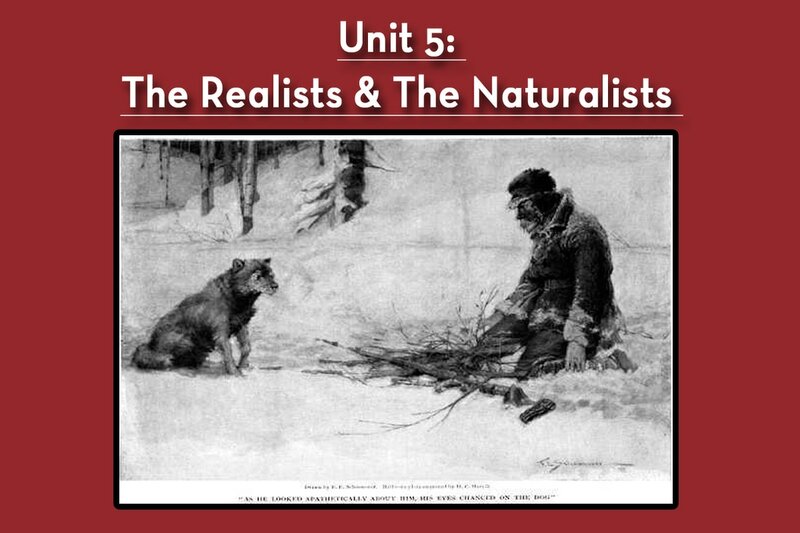 (Also the Naturalists: Stephen Crane & Jack London). Twain’s Huck Finn will provide our main course during this feast of literature, & courses of short stories from other authors will round out a challenging and satisfying repast! Female and minority authors begin to make a greater mark during this era of great change. In Unit 6 we will examine American Theater with two very different, highly acclaimed, works of art. The first – never intended for the stage – is an intricately connected series of poems that reveal the secrets of a town. The second is a character-driven play that reveals the fears of its protagonists and mirrors the worries of a generation at a changepoint in history. Both serve as a remarkable glimpse at American life during their eras! Tennessee Williams’ The Glass Menagerie & Edgar Lee Masters’ Spoon River Anthology (excerpts) are our focus texts during this fascinating study. Unit 7 brings us to the writings of the 20th century. 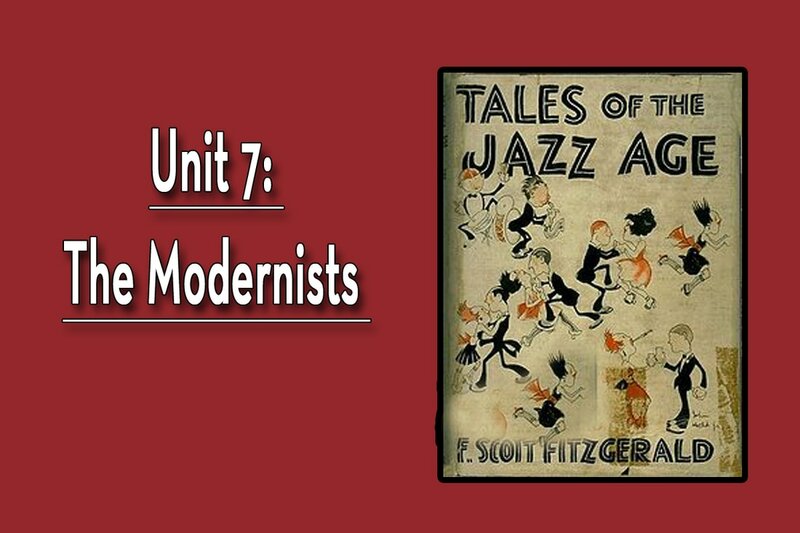 From F. Scott Fitzgerald’s discontented jazz age in The Great Gatsby, through Steinbeck’s The Pearl, short stories by Faulkner, Glaspell, poets of the Harlem Renaissance and more (Langston Hughes, ee cummings, William Carlos Williams, Robert Frost, T. S. Eliot) – this is an age of restlessness. America is stretching her wings yet again, and the literature of this era perhaps more than any other will reflect that sense of pushing back against the envelope of societal structure and acceptance! ​Unit 8 Harper Lee’s To Kill a Mockingbird provides the central reading for this short unit, as we circle back to the central theme of American Literature - freedom & equality. This haunting, classic look -through the eyes of an unreliable narrator at a world she doesn’t quite understand - is a stunning work of both clarity and intricate rhetorical mastery. We will also analyze John F. Kennedy’s Inaugural Address and Ronald Reagan’s Let Us Make a Vow speech as our text for spoken rhetoric, closing out American Literature with challenges for the future from two giants of the near past.